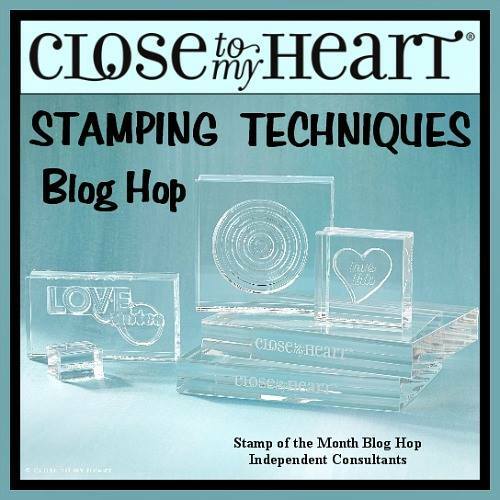 Welcome to our Stamping Techniques Blog Hop! 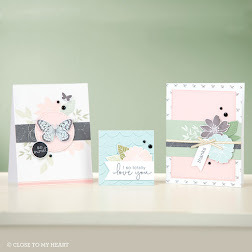 For this blog hop we are featuring a variety of stamping techniques using our amazing CTMH products. If you have come here from Michele Rowley's blog you are on the right path! The blog hop is a great big circle, so you can start here and work your way all around. 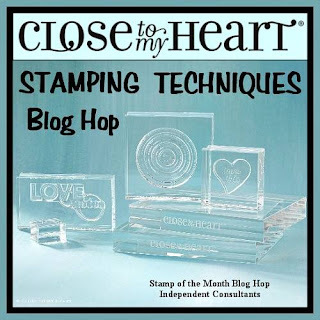 If you get lost along the way, you’ll find the complete list of participating consultants on Melinda’s Blog: http://ifyoublingit.blogspot.com/p/stamp-of-month-blog-hop-list.html. 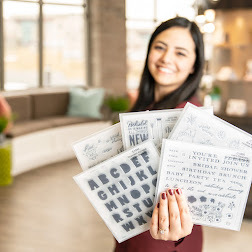 This month we have 18 Close To My Heart Consultants sharing their creations using various stamping techniques along with a variety of our great CTMH products. To enjoy this hop is quite simple to do - just click on the link at the end of the post on each blog to move to the next one! Here we go! For my stamping technique, I've chosen both "Random Stamping" and "Second Generation Stamping" techniques. I first took the sentiments from "Christ is Born" C1628 and using cocoa ink, randomly stamped them on a 4" by 5.25" rectangle of colonial white paper. When random stamping, try to create triangles. The sentiments were stamped 2-3 times without reinking, creating the second and third generation stamped images. The focal sentiment was stamped on a Cricut cut tag using the new Artistry cartridge (pg. 26) cut at 2.25" and the cranberry layer was cut at 2.5". Three red enamel gems were placed on each side of the sentiment. The inside of the card has the second part of the Luke 2:14 verse. 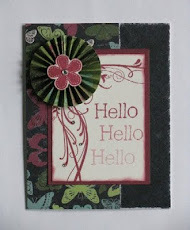 Now "Hop" on over to Lela' s Blog to see her work! Be sure to visit all the Consultants at their blogs to get some great crafting ideas and other fun projects! 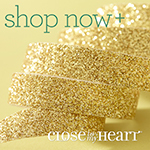 Contact your CTMH Consultant (or click here) to see how you can get some of the products you've seen on this hop! Great job, Darlys! So simple, yet so elegant and beautiful! Very nice. I like the random stamping withe the second and third generations. I love the stamp you used. I do not think to use stamps with words with either technique. Your card is wonderful.